Faraway Press: The Online Home of John Jackson Miller: Exclusive preview for KOTOR: War #1 now online! Easy. 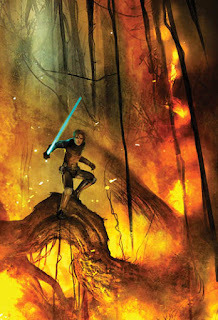 KOTOR Campaign Guide, Wizards Web supplement devoted to Morvis, and the Knight Errant Novel. Unless we count KOTOR Handbook as separate from the regular comic series of course.